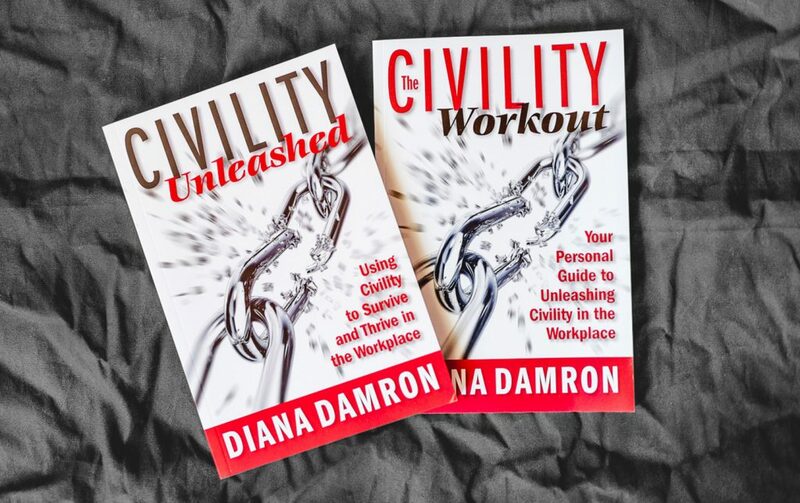 In this partner workbook to Unleash Civility: Using Civility to Survive and Thrive in the Workplace, Diana Damron serves as your civility personal trainer! You’ll learn how to build your civility muscles, become heart-centered in your communications, stretch your limits for change, and nourish your civil self. Practicing civility transforms people, businesses, and personal relationships, but it takes work and practice. Diana makes it painless with easy-to-complete exercises and assessments. Grab your gear! 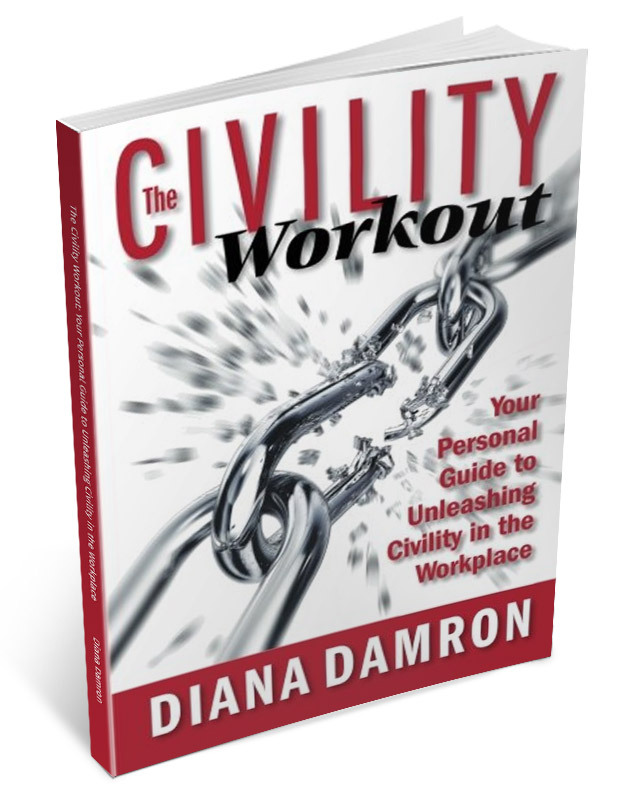 It’s time to do The Civility Workout! 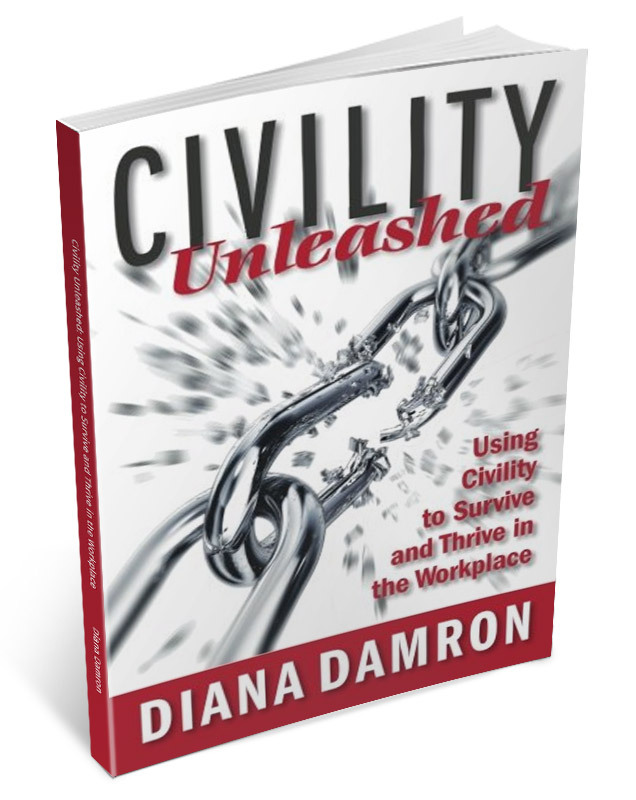 This is the partner workbook for Civility Unleashed: Using Civility to Survive and Thrive in the Workplace (more information below). Get them at Amazon.com. Finding herself in a toxic environment, the former television anchor was shocked by its effects on her, personally, and on the workplace, as a whole. Using that experience as a catalyst, Diana began to investigate what’s triggered the incivility epidemic and what’s necessary to bring it to a halt. The result is Civility Unleashed: Using Civility to Survive and Thrive in the Workplace. The book, described as “a foundation block for building successful teams and cultures,” helps you understand what civility truly is, what it’s not, and how you can make civility your most powerful ally. Diana works with organizations to transform their workplaces into cultures of trust. Engaging and fun, and packed with research, stories, and assessments, Civility Unleashed will challenge you and your organization to UNLEASH CIVILITY!